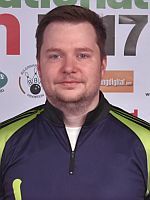 Alexey Parshukov of Russia averaged 253.67 over six games to lead the qualifying of the 9th Sofia International Open 2018 which got underway Saturday at bowling center Joy Station in Sofia, Bulgaria. Parshukov (right, and featured photo) fired games of 226, 266, 279, 268, 225 and 258 in the third squad Saturday to lead the field of 80 players from nine countries after the first weekend with 1522 total. 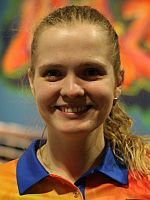 With just eight out of 35 qualifying squads in the books, Parshukov has already eclipsed the qualifying winning scores from 2016 (1466 – Hadley Morgan, England) and 2017 (1408 – Martin Paulsson, Sweden). 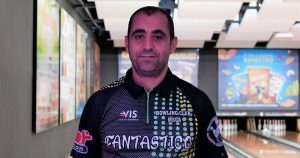 Mehmet Kaya (left) of Turkey started the first squad of the tournament with a huge 289 game and added five games between 257 and 216 to sit in second place with 1463. Kaya then produced one of the Sunday’s top highlights by recording the first 300 game of the tournament in the fifth game of his 1394 attempt in squad 5. Nick Kekesis of Greece took the 100 Euro bonus for the daily leader Sunday after leading squad 7 with 1432, including high games of 279 and 256, to leap into third place in the overall standings. Squad 5 leader Karsten Aust (right) of Germany was the last player who surpassed the 1400-mark in fourth place with 1415, including a pair of 250 games and four games from 211 to 235. Nadezda Korablinova (left) of Russia was the best of nine women on the first weekend with 1349 pinfall and an average of 224.83 to round out the top 5 with 1397 total, including 8 bonus pins per game. 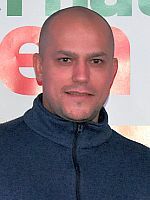 Hristo Georgiev was the top Bulgarian qualifier in sixth place with 1392, including high games of 276 and 267. His compatriot Asen Petrov currently holds the 44th and last spot to advance to the finals from the overall leader board with 1180 or an average of 196.67. For the records, the scores to make the cut in the past two years were 1261 (2016) and 1266 (2017). Qualifying continues Monday, Oct. 22, with squads 9-12 scheduled to start at 10 a.m., 2, 6 and 9.30 p.m. Central European Summer Time (CEST). 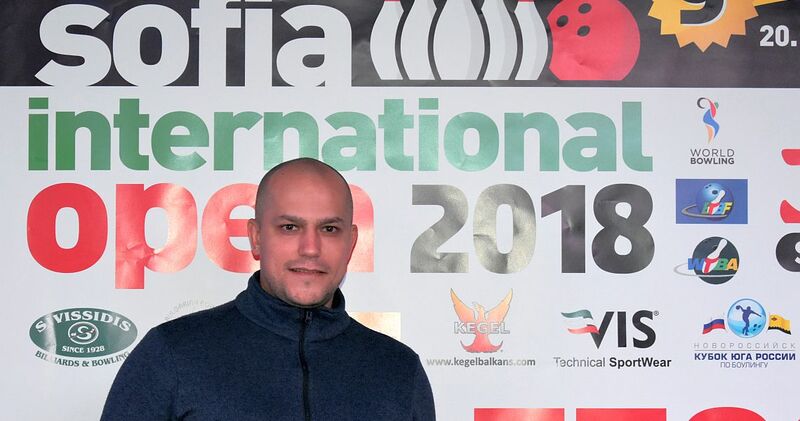 The 9th Sofia International Open 2018, a popular non-European Bowling Tour event, will be held from Oct. 20-28 at bowling center Joy Station, a 20-laner in Sofia, the capital city of Bulgaria. The tournament offers total prize fund of 55.000 Euro with 7.000 Euro going to the winner and a last-to-cash payout of 350 Euro for 56th place. Qualifying of the Sofia Open started on Saturday, Oct. 20 and runs through Saturday, Oct. 27, with the final squad 35 scheduled for 9.30 p.m. Central European Summer Time (CEST). Qualifying concludes with the one-game Desperado Squad. Women receive 8 pins handicap each game (maximum score is 300). Total 56 players advance to the finals on Sunday, Oct. 28, including top 44 qualifiers, top 6 of squad 1-16 standings, top 2 of squad 17-25 standings, and top 4 of the Desperado Squad. Top 8 qualifiers earn two byes and qualifiers 9-16 receive a first-round bye. The other 40 players advance to the first of four 4-game rounds (rounds 1-3 starting from scratch). The field will be trimmed to 36, 20, and then 10 players who determine the stepladder finalists in the last four-game round with the pinfall from Round 3 being carried forward. The top 4 with the highest eight-game total bowl for the title in a traditional stepladder final. Top 44 qualifiers, top 6 from squads conducted Oct. 20-23 and top 2 from squads conducted Oct. 24 & 25 who finish outside the top 44, and top 4 of the Desperado Squad will advance to the finals. 300 games (1) – Mehmet Kaya.